a) After Noah’s time, it seems likely that people dispersed to different parts of the world, which were far apart. The means of communication were so poor that a prophet in one part could not communicate his message to the rest. Also, the development of the human mind varied from one area to the other. The All-Wise God therefore, sent a prophet to each nation with a teaching best suited to the needs of that nation. b) As the time passed, the teachings of various religions could not remain in their original form. In some cases, their followers themselves introduced changes in their Holy books. 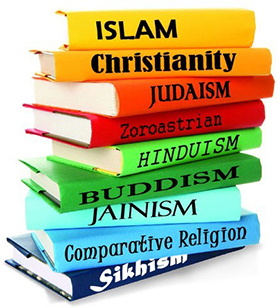 Previous Topic What is Religion?